Misdemeanor charges deserve your full attention and can have a devastating effect on your family and your life if you are found guilty. The attorneys at Razumich & Delamater have years of experience fighting misdemeanor charges all across Indiana and can help you protect your freedom. A misdemeanor under current Indiana law is any criminal offense that can result in incarceration in a county jail for one year or less. That’s enough time to have an impact on your family, job and your entire life. If you or a loved one are facing misdemeanor charges, make sure you do everything within your power to fight for your freedom. There are three classes of misdemeanor offenses that you can be charged with in Indiana. All are serious, and an experienced Indiana misdemeanor attorney can help you avoid jailtime and excessive fines. Class A Misdemeanors – 0-365 days in jail and up to $5,000 in fines. Class B Misdemeanors – 0-180 days in jail and up to $1,000 in fines. Class C Misdemeanors – 0- 60 days in jail and up to $500 in fines. Many who face misdemeanor charges are able to avoid jailtime for overcrowding issues, and mistakenly believe that this is the best possible outcome. It’s still important to fight the charges and refuse the temptation to take a quick guilty plea. Instead, you should hire an experienced misdemeanor attorney to investigate the facts of a case. 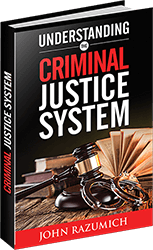 All criminal convictions are serious – including misdemeanors. Even if the penalties are minimal and you are able to avoid jailtime, it still lands on your permanent record. Any criminal conviction can prevent you from finding work. It’s critical to understand your rights as your case goes to court. The attorneys at Razumich & Delamater will fight for your rights rather than hastily recommending a quick guilty plea. If you or someone you know has been charged with a misdemeanor offense, contact us today.